When planning a project, it’s understandable to get caught up in the excitement. You may fantasize about your finished result or focus on the steps necessary to bring your creation to life. However, with any project involving physical materials, there is inevitably going to be waste, and it’s important to have a plan for where that waste will go. As we at Degler Waste Services know from experience, waste containment and disposal is especially important for large-scale endeavors like construction. If you are planning a construction project, then you need to plan on having one or more construction debris containers, and our team will tell you why. People who are new to construction might have the notion that they can simply rely on their regular trash service to remove any debris. However, this will soon be revealed as impractical due to the large volume of waste material generated in even small-scale construction projects. A better solution is to rent construction debris containers, which will give you a place to store your debris until it can be hauled away to a landfill or other facility. Having a dedicated container for your waste material is vital to any construction project, as leaving debris lying around the work area is a safety hazard that could lead to serious injuries and potentially derail your project. Renting a construction debris container from us at Degler Waste Services also has the benefit of our team picking it up and hauling your trash away for you, rather than you having to do it yourself. 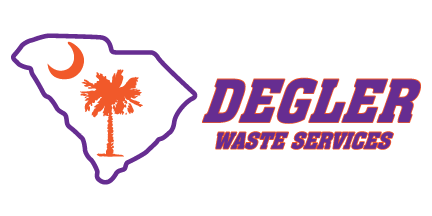 If you’re wondering “Where can I find an experienced septic company near me in Ridgeland, South Carolina?” turn to us at Degler Waste Services. Ridgeland, Wellford, Lyman, Spartanburg, Inman, Tryon, Landrum, Greer, Taylors, Greenville, Mauldin, Simpsonville, Travelers Rest, Pumpkintown, Beaufort, Lady's Island, Bluffton, Hilton Head Island, Hardeeville, Savannah, Georgia, Walterboro. Where Do Septic Tank Contents Go? To a Treatment Plant!